Husband and wife Ann and Steve Corbin have the heart to serve. The Corbin’s started a coffee house and hospitality ministry in Pickens, South Carolina, called Café Connections. 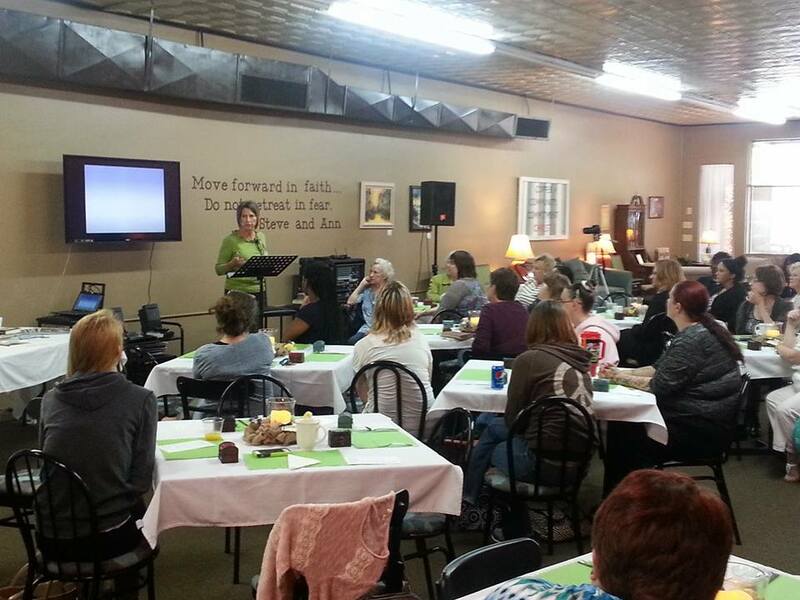 Through Café Connections and their nonprofit Get Up & Go Ministries, they held a women’s night, “You Are a Treasure,” on April 18th, where they generously presented Mercy Multiplied with a $2,000 check. Café Connections began, simply, for the love of people and the desire for local outreach in their city of Pickens. Café Connections is located beside the Pickens County Behavioral Health Services building, where women are getting help for their drug and alcohol addictions. The café has been a dream of the Corbin’s for the last 37 years and has held a special place in their hearts. The Corbin’s learned about Mercy Multiplied years ago through Dave Ramsey’s radio program and attended Mercy’s MPower Workshop this spring. They loved the information and resources they received and held the “You Are a Treasure” event to minister to women in their community. They showed the Francesca Battistelli music video He Knows My Name that features four Mercy graduate testimonies. They shared the Gospel with the sixty women who attended. The Corbin’s and their Get Up & Go Ministry set up a “seed project” fund five years ago. They set aside 10% into this fund and let God lead them to who they give to each quarter. “We knew that we were going to be doing a lady’s outreach, many of which are struggling with drug and alcohol and other self-harming behaviors, and decided that Mercy is where God would have us to ‘invest,’” said Corbin. The Corbin’s are hoping to expand Café Connections into the building next-door to create a conference facility where they can continue to create a safe, non-threatening space to share Jesus. Mercy is thankful for generous supporters like Ann and Steve Corbin! If you would like to donate to Mercy Multiplied please click here.